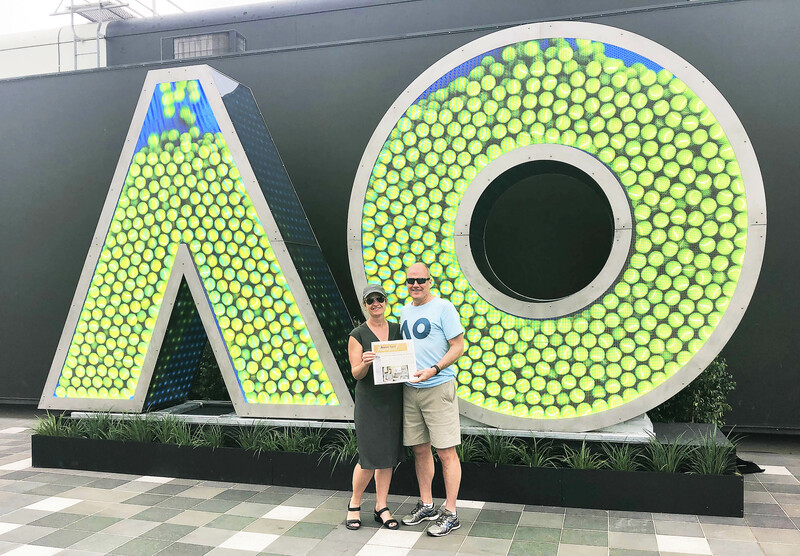 Lisa and Randy Marso ventured to the land “down under” in January for courtside seats at the Australian Open Tennis tournament in Melbourne, Australia. This tournament was a check on Lisa’s bucket list, as she has now attended all four Grand Slam tennis events. If you’re traveling “down under” or anywhere, remember to take your hometown newspaper, the Brandon Valley Journal, along for the ride!